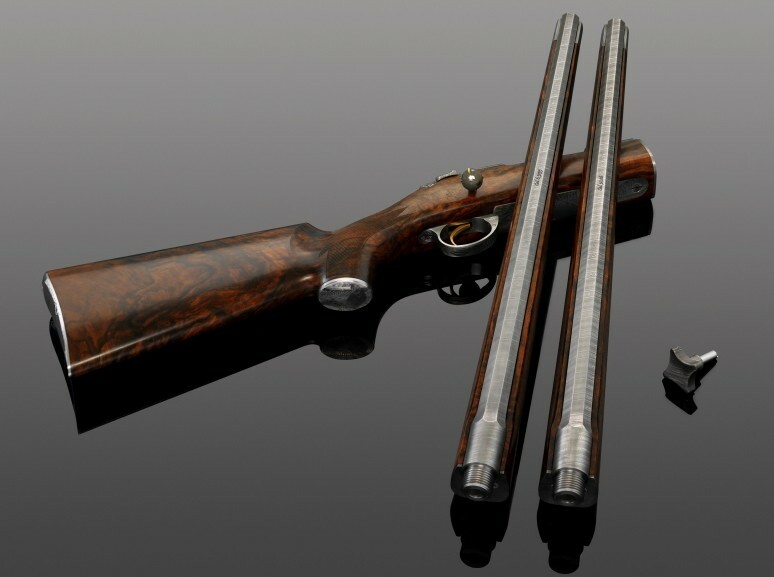 The VO Falcon Edition rifle, designed and assembled by Swedish master gun makers VO Vapen, claims seems to be the most expensive rifle on earth. Hand made one at a time, and priced at $820,000, they may just be right. 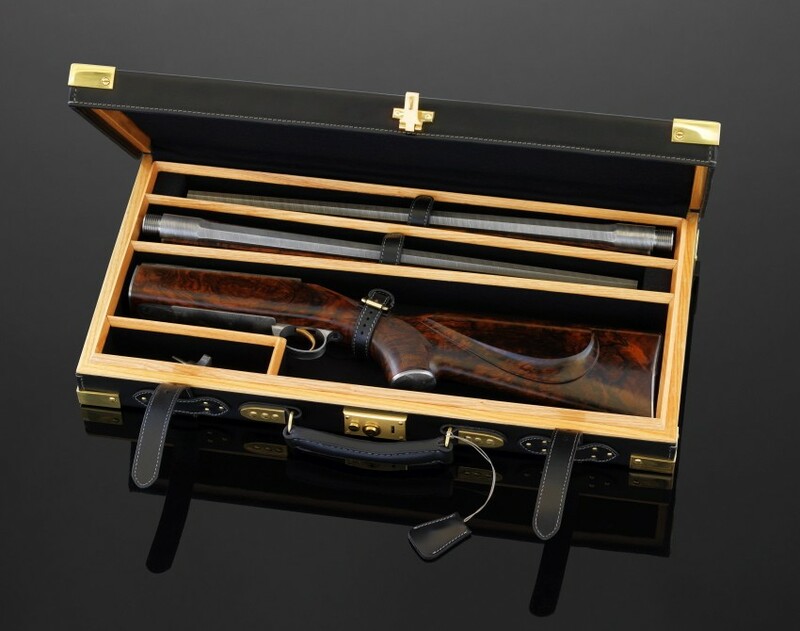 Known for producing only a very limited run of rifles every year, VO sells their exclusive collections to Royalty around the world — and those who’ve had modern royalty bestowed upon them (aka the obscenely rich). 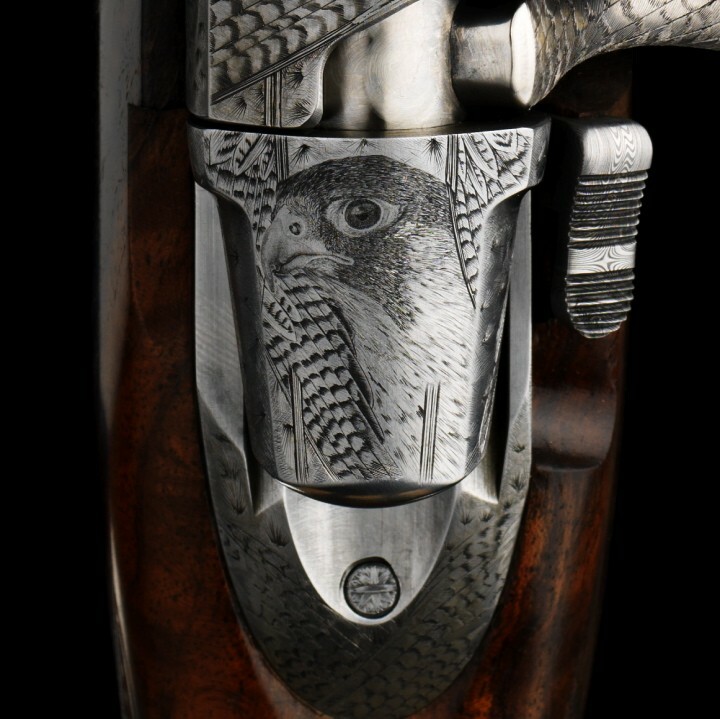 The VO Falcon Edition will only consist of 5 rifles, the one photographed above being the first and only sample yet made of the new design, while the remaining four will be made to order and customized with an individual mark and unique embellishments to distinguish it from the others. 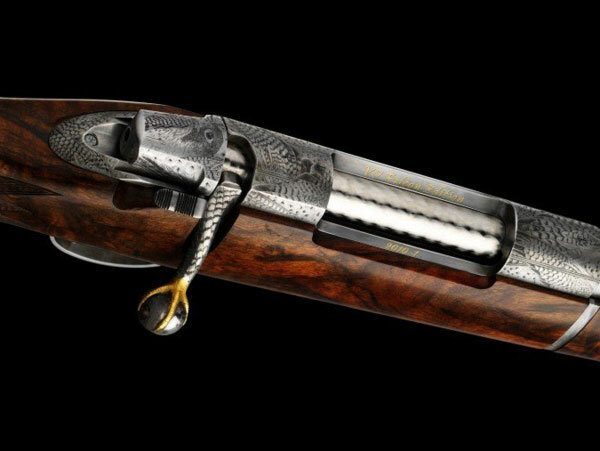 The VO Falcon Edition is inspired by Arabian design and their millenniums-old sport of falconry — illustrated with copious engravings of Peregrine and Saker falcons on the Damascus steel-forged barrel and walnut root stock. At VO Vapen, Master Gunsmith Viggo Olsson and his son Gunsmith Ulf Olsson file and polish each metal component by hand, as well as select the walnut trees they will use themselves — and then age and dry them for 3 years. Is all that attention to detail worth nearly $1,000,000…? Unlikely, but the craftsmanship is superb.